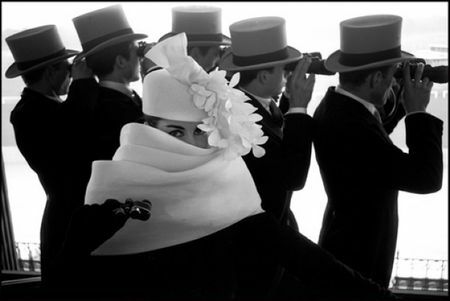 With the Melbourne Cup so near I thought I would share this beguiling photo I stumbled across by Frank Horvat taken at Longchamp racetrack in 1958. The model is wearing a stunning hat by Givenchy. Don't the men look elegant too. Fabulous photograph - LOVE the hat!